Golden Gate ... the “jewel in the crown” at Bahrain Bay. Bahrain's Kooheji Golden Gate has joined hands with two India-based real estate companies - Ajmera Realty and Mayfair Housing - to develop the kingdom's tallest residential towers featuring a total of 746 apartments overlooking views of Bahrain Bay. With specially-designed architecture that celebrates two culturally rich countries in one place, The Golden Gate is poised to become the “jewel in the crown” at Bahrain Bay boasting key features including its sun-defying glazed windows and stylish, modern interior. All three companies involved have an extensive and impressive background in the business with a century of experience combined and are highly respected in the local and international stage, as well as being experts in taking challenging ventures from its early stages to successful completion, said a statement from Kooheji Golden Gate. With decades worth of investments and trade between Bahrain and India, the Golden Gate project is bringing them closer together to give rise to the development of this property that will give a new meaning to real estate in Bahrain, it stated. Uniquely, this venture brings together the joint development expertise to efficiently manage all aspects of on-time delivery, while leveraging off the legacy and market knowledge of the renowned Kooheji Group, it added. An exciting partnership between Bahrain and India will redefine real estate development in the region, making Golden Gate a one-of-a-kind residential landmark, said the statement. The companies bring in a range of complementary skills and have one mutual aspiration of not only creating homes, but creating a community, resulting in them to conjointly decide to invest in Golden Gate. 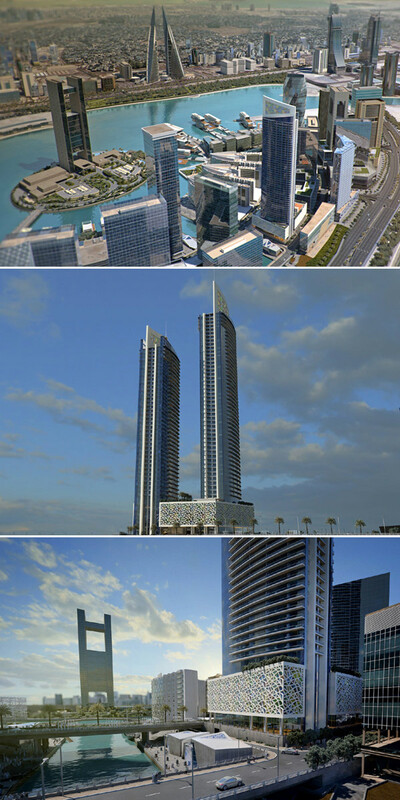 Such partnerships and investments with renowned companies such as Ajmera and Mayfair can boost the real estate infrastructure in the country, which complements the economic growth attracting more foreign investments as Bahrain is launched as an important and popular destination for trade and innovation, it stated. Lauding the partnership, Kooheji Group chairman Ishaq Al Kooheji said: "It is a realisation of great achievement, as well as making Bahrain a prime example and stepping stone for future development in the region and the world." The foundation for this joint venture was laid in 2007, when the Crown Prince HH Shaikh Salman bin Hamad Al Khalifa led a major delegation to expand economic relations between Bahrain and India, he stated. The Kooheji Group has been a well-established and reputable family company, which combines history and a great understanding of the real estate market in Bahrain. Ajmera managing director Manoj Ishwarlal Ajmera said the relationship between Bahrain and India has been a long and successful one, and continues to be so and this translates into their work and development of Golden Gate’s concept and design. He hailed capital Manama as "a national symbol of ambition and innovation and a city that is constantly evolving for the better." Mayfair Housing chairman Nayan Arvind Shah said Bahrain had always been known to be the heart of major trade routes, which still manages to bring in investment and house the headquarters of many global banks in Manama, thus giving Bahrain the status of an ideal place for projects and investment. The collaboration between the companies came about with their shared values, history and end goal to put Bahrain in the spotlight of innovation and luxury, said the statement from Kooheji Golden Gate. .